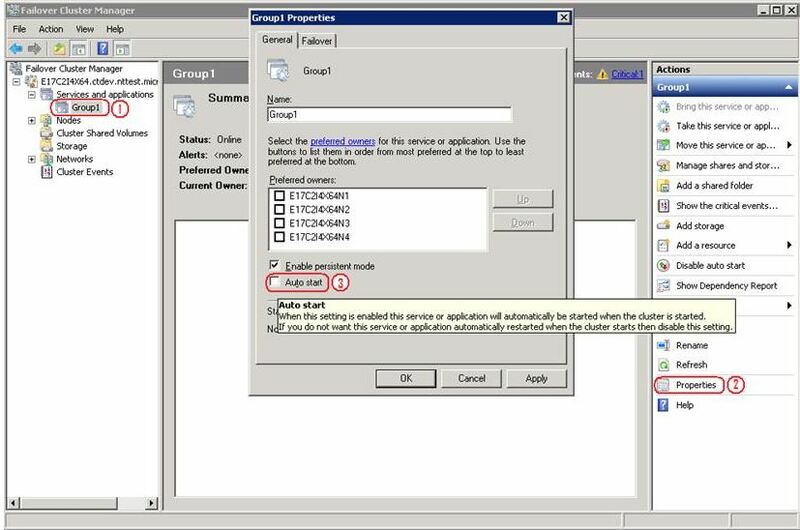 In short: make sure if you are using Exchange Server virtual machines having mailbox role and member of a DAG, those VM’s are not restarted automatically when the host fails or shutdowns. Also make sure the VM is not manually of automatically moved to another host while running. All of these can simple be configured and you are all fine! It seems that Microsoft now tells VMware was right in the first place although the whitepaper does not mention if vMotion is supported as well. VMware explains HA is nothing more than an automated restart of a VM. If the Exchange DAG member fails on a physical host, an administrator will eventually start the server as well to solve the problem. HA does this automatically. VMware has been using HA on DAG members without any issues. the areas of CPU, memory, storage, and networking. testing and guidelines for conducting and measuring internal performance tests. changed significantly. This section walks through this new process. configurations, one with Database Availability Groups and one without. 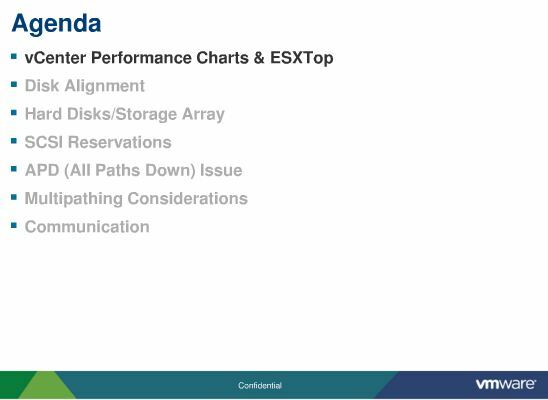 vSphere features and add-ons that enhance deployment and management of Exchange 2010.
principles should included in this Solution Kit. 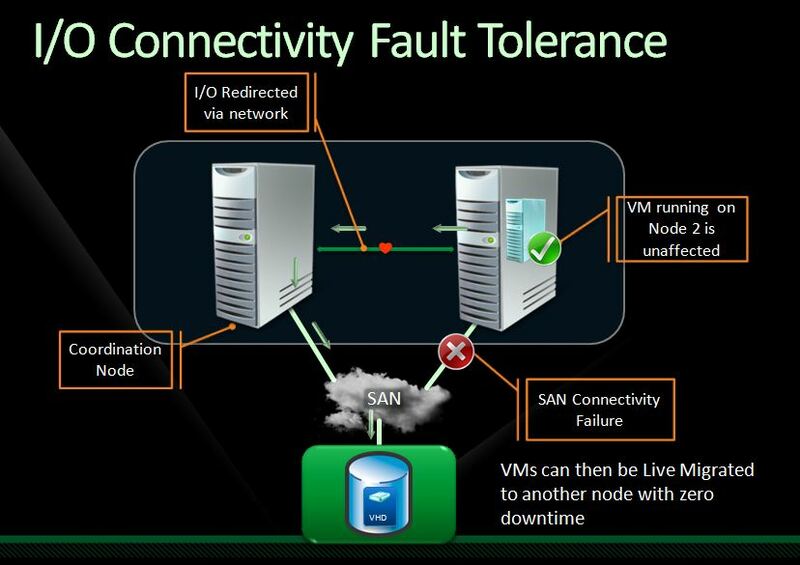 VMware released a new whitepaper on vCloud Director 1.0 with performance and best practices. Do you want to know how many VMware vCloud Director server instances are needed for your deployment? 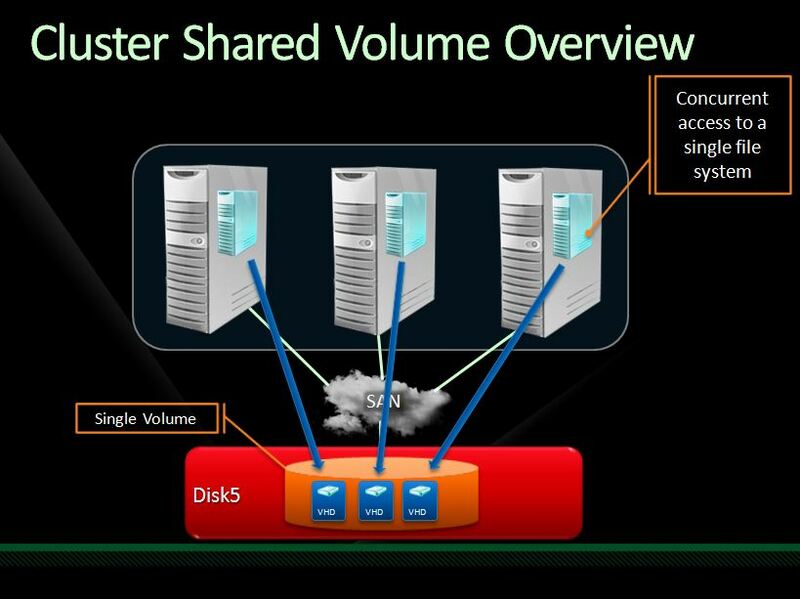 Do you know how to load balance the VC Listener across multiple vCloud Director instances? Are you curious about how OVF File Upload behaves on a WAN environment? What is the most efficient way to import LDAP users? This white paper, VMware vCloud Director 1.0 Performance and Best Practices, provides insight to help you answer all the above questions. Ensure JVM heap size is big enough to satisfy the memory requirement for the inventory cache and memory burst so the vCloud Director server does not run out of memory. Ensure the system is not running LDAP sync too frequently because the vCloud database is updated at regular intervals. In order to help load balance disk I/O, separate the storage location for OVF uploads from the location of the vCloud Director server logs. Please read the white paper for more performance tips with more details. You can download the full white paper from here. 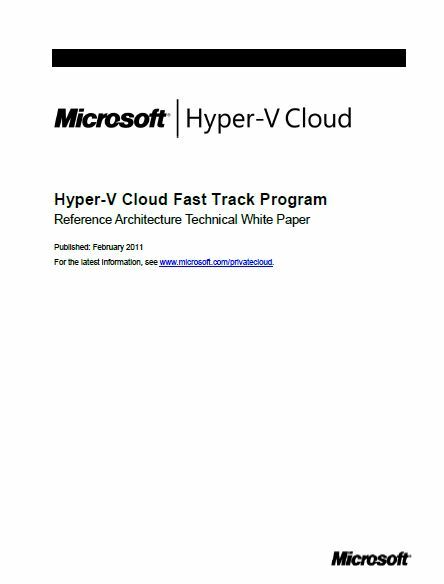 At February 11 Microsoft published a new whitepaper on the Hyper-V Cloud Fast Track Program titled ” Reference Architecture Technical White Paper”. It can be downloaded here. It is an interesting document describing the seven principles Microsoft Hyper-V cloud architecture is based on: resource pooling, elasticity and the perception of infinite capacity, perception of continuous availability, predictability, metering/chargeback, multitenancy, and security and identity. The document also describes design principles on networking, explains Clustered Shared Volumes, SAN design, host design, virtual machine design and a lot more interesting stuff. A must read if your role is to design a Hyper-V infrastructure, either for a private cloud server or limited to server virtualization. VMware made available a complete set of icons and diaframs which can be used in PowerPoint presentations. Also Visiocafe.com has a lot of Visio stencils. For example for HP and EMC servers and storage. What is Hyper-V Cloud Fast Track ? At TechEd Europe 2010 in Berlin, Microsoft introduced several new initiatives and some new solutions which enables customers to start using Cloud Computing. 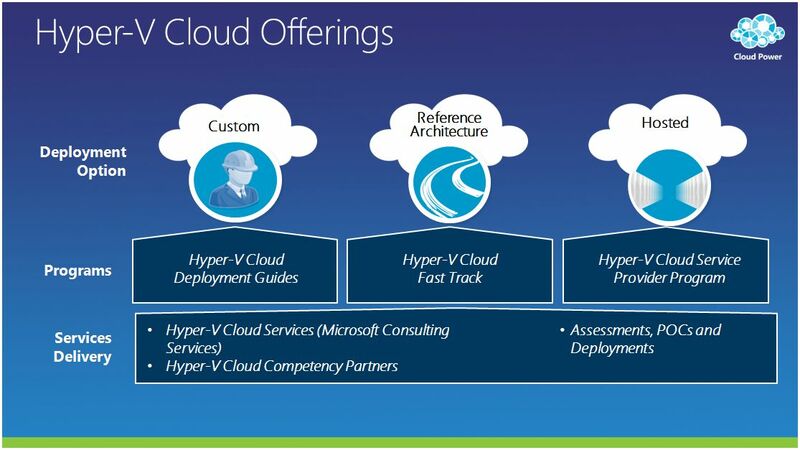 Hyper-V Cloud Fast Track is a complete turn key deployment solution delivered from several server vendors which enables customers to quickly deploy cloud computing with reduced risk for technical issues by purchasing a virtualized infrastructure designed with best practices of Microsoft and the hardware vendor. Customers can build the infrastructure themselves based on reference architecture or use one of the many partners of the server vendor. Some parts of the architecture are required by Microsoft (redundant nics, iSCSI for clustering at the virtual machine level) and some are recommended. There is enough room for server vendors to create added value by delivering their software solution with the Fast Track. The solution is targeted at large infrastructures running at least 1000 virtual machines per cluster. So it is an enterprise solution, not targeted at small and medium businesses. This posting is a detailed summary of session VIR201 ‘Hyper-V Cloud Fast Track ‘ given at TechEd Europe 2010. The session can be seen and listened to via this link. Cloud Computing delivers new exciting features to the business consuming IT-services making it possible to quickly respond to new businesses. Self service portals enables business units to send change requests (for new virtual machines, additional storage and computing resources) using Webbased portals. After the request has been approved by the IT-department resources like virtual machines, CPU, memory or storage are automatically provisioned. On the producing site (the IT-department) cloud computing delivers functionality to keep control over the life cycle of virtual machines, be able to forecast the need for additional resources, monitor and respond to alarms, report and be able to chargeback costs of computing to the consumer. If an organization decides to build a private cloud, three options are possible. Either build the cloud computing infrastructure yourself on purchased hardware and software which is located on-premises. Another option is to use the services of a Hyper-V Cloud Service Provider. Servers are located in an off-premises datacenter, the service provider makes sure networking, storage and computing power is provided. They also make sure the software is able to deliver Cloud computing functions like charge back, self service portal and is ready to use. While doing it yourself it takes the longest time to implement, using a service provider is the shortest time to implement. The technology is a set of hardware (servers and storage, software (Hyper-V/SCVMM and Self Service Portal 2.0) and services (experience and knowledge delivered by the hardware vendor). – reduce time to deploy. The hardware vendor has a selected number of configurations and best practices which is proven technology. It is ready to be installed without having to spend much time on inventory and design . -reduce risk. The configurations are validated by the vendor to work. No risk on issues of components not working together. Performance is as designed and as expected. -flexibility and choice. Several configurations can be chosen. Dell for example offers iSCSI storage, Fiber channel storage , blades and rack servers configurations. See a video of the Dell Hyper-V Cloud Fast Track solution. To me at the moment Hyper-V Fast Track seems to be more marketing related to impress the world about the solutions Microsoft can deliver for cloud computing. Microsoft is far behind VMware in it’s function offering for Infrastructure As A Service (IAAS). ESX is superieur to Hyper-V in being a hypervizor. The same accounts for vCenter Server for management versus System Center Virtual Machine Manager. Self Service Portal 2.0 far behind with functionality compared to VMware vCloud Director and additional software like vShield App. 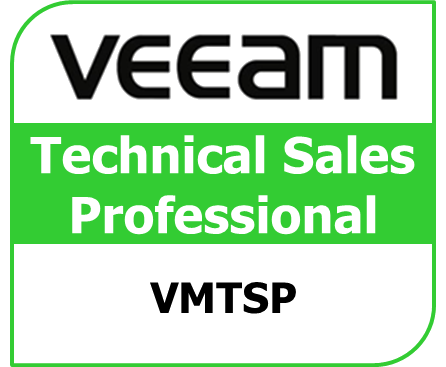 While VMware has always been good in delivering superieur technology in it’s features (vMotion, storage vMotion) which appeals to IT-technicians, Microsoft has always been very good a luring IT-decision makers and higher management with perfect marketing material and distracting the functional shortcomings. The website of Fujitsu, IBM, Hitachi and NEC only mention Hyper-V Fast Track but there is no reference architecure or detailed information to be found on the site. Dell has four reference architectures available for download on their website, but none of them even mentions the VMM Self Service Portal 2.0 software! Delivering a self service portal to business units is what cloud computing distinguishes from server virtualization. 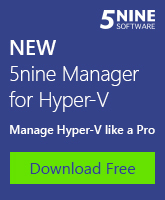 It is even a requirement for Hyper-V Cloud Fast Track! I guess it only takes time before most of the 6 server vendors offer a really private cloud computing reference architecture. 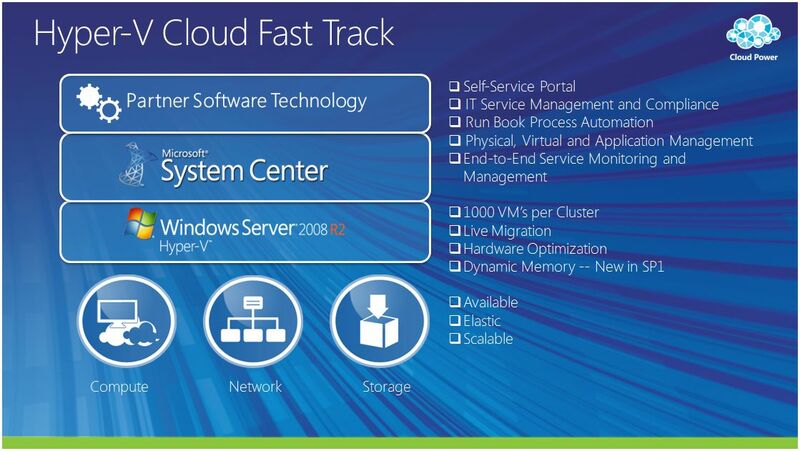 The Hyper-V Cloud Fast Track solution consists of Hyper-V, System Center and Partner software technology. It is an open solution, the partner is free to add software solutions of its own (like management software). One of the design principles for hardware used in the Hyper-V Cloud Fast Track is that components and access to network and storage must be redundant. Each server needs to have multiple nics in a team. For iSCSI connections, at least 2 10 GBe nics or HBA’s are recommended. For the storage path MPIO most be used. VLAN trunks needs to be used to be able to split different type of networks and have control over the bandwidth usage of each network type by capping the bandwidth based on priorities. iSCSI traffic most likely wil be given more bandwidth than Live migration traffic. On a 10 GB pipe, iSCSI will typically get 5 GB while Live migration perfecly runs on 1 GB. Although both iSCSI and Fiber Channel storage can be used, iSCSI storage is always required in the Fast Track solution as part of the solution. That is because clustering needs to be provided at the individual virtual machine level. Clustering at the host level (which ensures a VM is restarted on a remaining host if a host fails) is not enough to provide redundancy for cloud computing. Disk volumes inside a virtual machine can only be made available to multiple virtual machines using iSCSI. There is no such thing as a virtual Fiber Channel HBA in Hyper-V virtual machines. If using a converged network, Quality of Service needs to be used to make sure certain types of network traffic can be priortized to make sure the virtual machines gets the guaranteed performance. Management is an important part of the Hyper-V Cloud Fast Track. Continious availability is very important aspect of cloud computing. To deliver that, the infrastructure needs to be monitored. If a failure is about to happen, actions need to be taken automatically to prevent downtime. For example, if the temperature in a Hyper-V server gets too high, System Center Operations Manager will notice that and initiate a Live migration of all virtual machines running on that host. For file systems, Clustered Shared Volumes can be used, but also Melio FS for example. The server vendor delivering the Hyper-V Cloud Fast Track is free in selecting the cluster aware file system. At the Microsoft.com Private Cloud website a lot more of information can be found, like deployment guides. Dell published a whitepaper on the subject of iSCSI connections. Because both Dell™ EqualLogic™ and OS-native MPIO modules facilitate multiple, simultaneous connections to iSCSI volumes, the total number of iSCSI connections can be surprisingly large, even with a relatively small number of storage hosts, PS Series member arrays, and storage volume targets. As this paper’s topic suggests, there is a limit to the number of iSCSI connections for both a storage group and a storage pool at which a Dell EqualLogic SAN configuration can operate. This paper will focus on the iSCSI connection maximum for a single pool. It will provide an overview of the factors involved in iSCSI connection creation, define the parameters of the iSCSI connection maximum, and examine whether the SAN performance and availability are affected as the maximum is approached. While designing your iSCSI storage infrastructure for your virtualization platform, either Hyper-V, VMware, Xenserver etc, please mind you are aware of the maximum number of iSCSI connections your storage supports. At least Dell EqualLogic iSCSI storage has fixed limitations. I believe those are hardcoded in the firmware. A new firmware might result into more iSCSI connections. If you do not make your maths, you might end up with strange issues of losing your CSV volume or not able to connect to target because the limit has reached! The limit can quite easily be reached. So the number of hosts, the number of volumes, the number of iSCSI interfaces should be taken into acount. What should be in your Hyper-V or VMware vSphere design? The design for your virtualization platform is a very important part of building a new virtualized infrastructure. The design should reflect the requirements of the customer and should have sufficient information for the person who builds the infrastructure. At all times it should be avoided that during the building of the infrastructure essential questions are still unanswered. Input for the design can be get by asking the customer for requirements. Most customers are not aware of features of the solution and what choices are to be made. You will need to help the customer by asking the right questions. Also it should be known how many resources your virtualization platform needs to deliver. Resources are diskspace, disk io, cpu capacity, network capacity and internal memory capacity. Several methods are available to create an inventory of current resource usage. VMware has a software tool available named Capacity Planner. This will give an overview of hardware specifications and resource usage of the current physical servers. It will then report on the number of needed ESX hosts. Capacity Planner can only be used by VMware Partners. Microsoft Assessment and Planning Toolkit offers equal functionality. Also a third party tool like Platespin Recon can be used. A different approach which works well for small deployments is by counting the needed resources manualy and order servers accordingly. Most important step in the design phase is to make sure enough storage is available. Extra CPU and memory are easy to add, but storage is more complicated and more expensive and has more impact on production. Calculate the current storage consumption, multiply by the annual growth of storage (do not underestimated the growth of data per year) and think about additional space for snapshots and saved memory state files used in virtualization platforms. Another thing to note: make sure you know the network. How many network adapter does the virtual machine need, and how many does the host need? Are you using iSCSI? Think about if it is possible to add network interfaces to your servers later. Make sure all VLAN’s are know. Are you using DMZ servers on the same host as internal lan vms? Backup and recovery is a part of the infrastructure which is easily forgotten. A lot of companies decide to continue using the current backup solution. Does it support your virtualization platform? Can it make image level backups or only file level backups. In case of file level backup, do you need an additional network interface in your vm to split production client/server traffic from the backup traffic. Your design should contain answers to all the questions above. What should be in your design? 1. what platform is selected, which version. Hyper-V, VMware vSphere or Xenserver? In case of Hyper-V, full installation of Windows Server 2008 of Core? In case of VMware, which edition and why. Describe the specifications of the host. Which brand, how to configure networking, blades or rackmounted servers. How many? How many TB of data? How many tiers, only FC or FC and SATA disks. iSCSI or FC. Volume size. Naming conventions. IP-configuration if iSCSI is used. Replication configuration if used. What are the phyiscal nics in the host used for. How many virtual switches. Standard or distributed. VLANs and IDs. IP configuration of host, ILO or DRAC etc. Configuration of SCVMM or vCenter Server. Configuration of templates and virtual machines. Time synchronization of your VM’s. Thin or thick provisioned disks. What solution is used for backup. Are the hosts being monitored by SCOM or other tool. Take your time to create a solid design. If will be a time saver later in the project! A must have for anyone who is designing VMware infrastructures and/or documenting a VMware infrastructure are the Visio stencils and PowerPoint slides listed below. A lot of icons and diagrams can be found. Nice job! PowerPoint presentations containing VMware pictures and icons can be found here. VMware graphics included in a PowerPoint presentation file format can be download from the Up2V blogsite . The graphics are based on virtual Infrastructure 3.5 and also show VMware View and Thin App images. In the past this file was also downloadable off the VMware VI:OPS website but has been removed for unknown reasons some time ago. Microsoft introduced Clustered Shared Volumes (CSV) in Windows Server 2008 R2. CSV enables a Microsoft NTFS formated diskvolume to be simultaneoulsy be accessed by multiple Hyper-V hosts. This enables Live Migration of vitual machines and fail-over clustering of Hyper-v hosts. Very nice. I did some research on what is going on under the hood and will list some best practises on designing CSV volumes. Also this blogposting mentions some design issues when you are using more than a few Hyper-V nodes in a cluster while using CSV. One important thing: the storage array hosting the CSV volumes will need to support SCSI-3 persistent reservations! HP, Dell etc iSCSI solutions support this, but the small and medium business solutions will not always support this. Keep that in mind when deciding for your iSCSI storage solution. First, there is not much best practise information to be found on the Net. A lot of articles about CSV and clustering can be found on the internet, but most of them discuss the technology. The only info I found was written by Microsoft and had very basic and obvious information. While all nodes in a cluster can write and read data to a CSV volume, there is one node responsible for changing the meta data. This node is called the Coordinator Node. Each CSV has one Coordinator node. If you have multiple CSV nodes available in a cluster, the Coordinator nodes for each CSV are evenly spread over the nodes. If the coordinator node fails, automatically another node will take over this role. It will probably result in a short pauze of diskaccess. Not sure if virtual machines will suffer from this. CSV volumes can only be used by Hyper-V hosts to store virtual disk files on (VHD). Do not try to store any other data on it because this could lead to corruption of the data. A CSV volume can be accessed by two networks. The first and obviously preferred network is over the iSCSI network. Each node has one or more NICs or iSCSI HBA’s attached to one or two switches. The switches are connected to the iSCSI storage array. This is called Direct I/O. If the iSCSI network is not available, because for instance the NIC used for iSCSI fails, or a cable is unplugged an alternative path is selected. Data is transfered over the internal cluster network to the Coordinator Node. The coordinator node then forwards the data over it’s iSCSI network to the storage. This method is called Redirected I/O. Depending on the amount of storage I/O this can lead to some lose in performance. The recommended size of a CSV can be anything between 1TB and 2TB. The maximum size is 256 TB. If a large CSV volume fails it will have more impact that if a smaller sized CSV fails. On the other hand, more smaller sized volumes makes administration a bit more complex and it could also lead to issues with CSV reservations. Later in this article more on that. To plan the total number of TB’s storage needed, count the data used by the virtual machine virtual disks and add extra used for snapshots, saved state etc. Something like 15 % more than the sum of all VHD’s would be okay. Make sure there is at least 512 MB free disk space available at all times on any volume. Make sure the folder c:\clusterstorage is excluded for virusscanning. Scanning the VHD files located on this shortcut could lead to issues. The RAID-level for the LUN which holds the CSV depends on available RAID levels, requirements for availability and applications and budget. Also exclude VMMS.exe and VMWP.exe from scanning. Run antivirus in your virtual machines instead. If using the Core installation anti virus on the Hyper-V might not be needed at all because the small diskfootprint. Performance results when using two LUNs (one CSV on each LUN) is 2% to 8% better, depending on the number of VMs, than when using only one CSV and LUN. This is because with two LUNs, each is managed by one of the SAN controllers. If only one LUN exists, the controller managing that LUN must service all requests, eliminating the performance benefits of the second controller. Requests sent to the secondary controller are proxied to the managing controller to be serviced, increasing service times. Microsoft MPIO (Multipathing Input/Output) or storage network load balancing provides the logical facility for routing I/O over redundant hardware paths connecting server to storage. These redundant hardware paths are made up of components such as the cabling, Host Bus Adapters (HBA’s), Switches, and Storage Controllers and possibly even power. MPIO solutions logically manage these redundant connections so that I/O requests can be rerouted in the event that a component along one path fails. As more and more data is consolidated on Storage Area Networks (SAN’s), the potential loss of access to storage resources is unacceptable. To mitigate this risk, high availability solutions, like MPIO, have now become a requirement. After installing the MPIO framework (add Feature in Windows Server ) either the Microsoft DSM or a storage vendor supplied DSM can be installed. The later has more knowledge of the underlying storage capabilities and will result in better performance. Mind that not all storage vendors DSM support CSV volumes. HP DSM for EVA supports CSV’s since July 2010. There is a penalty however when selecting MPIO. Because using MPIO more paths are enabled to the storage, the storage needs to handle more iSCSI sessions. -A cluster with two nodes, one NIC per node using MPIO has 5 ISCSI session (one for the initial and two for each NIC). When the number of nodes in a cluster increases, the number of iSCSI sessions to the storage increases as well. Having more nodes than the storage can handle will result in CSV volumes not available. This problem is not related to CSV but to the firmware of the iSCSI storage. Also when you are using VMware and iSCSI SAN you can have problems with lost iSCSI connections. Read the article ‘iSCSI connections on Dell Equallogic PSseries’ at http://www.2vcps.com/2010/02/16/iscsi-connections-eq/ which describes the limits of the various Equallogic series and how to calculate the limit! Your iSCSI storage can have a maximum number of Persistent Reservations. The Dell Equallogic PS series installed with firmware 4.x has a limited of 32 PR per CSV volume. That will be changed to 96 in the v5.0 firmware due out this summer. Microsoft Windows 2008 or Microsoft 2008 R2 clusters might experience resource failures in large configurations. Any combination of Microsoft cluster nodes, Multi-path I/O (MPIO) network interface cards (NICs) per cluster node and storage nodes that results in more than 31 iSCSI sessions per volume is affected by this issue. If the number of Microsoft cluster nodes plus the number of MPIO NICs per cluster node multiplied by the number of HP LeftHand or HP StorageWorks P4000 storage nodes exceeds 31 for a particular volume, the Microsoft cluster will not function and will fail the Microsoft cluster validation test. Patch 10069-00 addresses this issue by removing the 31-session limit. For each CSV served out on an iSCSI array one SCSI reservation is needed. This reservation is done by the Coordinator node. So far an overview of the maximum for SCSI Persistent Reservation per storage is not available. This whitepaper http://www.sanbolic.com/pdfs/EMC_Sanbolic_MS_POC-Final.pdf explains about optimized storage solution for Enterprise Hyper-V Deployments using Melio FS. Melio FS offers quality of service for storage. This can be compared to the Storage I/O Control feature introduced in VMware vSphere 4.1 More information on the storage Quality of Service feature of Melio FS can be read here. Factors to consider when deciding how many VHDs per CSV This document attempts to provide some guidance to best practices – providing exact numbers is outside the scope of this document. The goal of this document is to provide a set of questions that need to be answered for each individual deployment in order to decide how many VHDs should be placed per CSV volume. This breakout session attracted quite a lot of attendees (estimate around 500). A really good presentation giving best practises presented by VMware staff. Conclusion is that Exchange Server 2007 can perfectly be virtualized. Nowadays VMware customers do not ask VMware to prove if Exchange can be virtualized with acceptable performance, but they ask what the best configuration is for a virtualized Exchange Server 2007. Besides that, Microsoft now supports Exchange Server 2007 running on virtualized machines. This is another reason for virtualizing Exchange. Exchange Server 2007 is not really scalable on physical server hardware. Going from one CPU to two CPU’s the performance improves by almost 100 %. But adding a third or even fourth CPU will not lead to a linear improvment of performance. That means on physical hardware adding more CPU’s is wasting CPU resources at the end. Best practise for virtualing Exhange is not scale up but scale out. Meaning use more VM’s with one or two vCPU’s instead of one or two VM with 4 CPU’s. VMware is using 4 Exchange Server 2007 VM’s having 4000 mailboxes each in their infrastructure hosted on a single ESX host with 128 GB of RAM. CPU utilization is around 40 %. Microsoft did a lot to improve the performance on the disk io in Exchange 2007. While Exchange 2003 was limited in the size of cache because of the 4 GB memory limit, Exchange 2007 as 64-bit only can use lots of memory for caching reducing the need to access the database on disk. Severall ways to make Exchange 2007 high available were showed, using techniques like HA, HA and Local Continuous Replication, HA and Cluster Continuous Replication and HA and Standby continuous replication. Before virtualization of your physical Exchange Servers you should do an inventory using the Microsoft Exchange Server Profile Analyzer. Performance on VMFS and RDM discs is almost the same. RDM discs are just a little bit more faster. The only reason to use RDM is for functionality. Some suppliers of SAN have tools that only function with RDM discs. 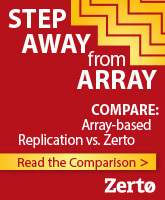 Do not choose for RDM because of performance reasons! Research in motion (RIM) did performance benchmarks together with VMware a few weeks ago. The conclusion of those tests is that Blackberry Enterprise Server is a perfect candidate for virtualization. Best practise is to use less than 1o00 users per BES server. Exchange Server mailbox rol, a domain controller and a BES server can perfectly run on the same ESX host delivering bus speed performance. Both Microsoft and RIM give full support for running Exchange 2007 and BES on VMware ESX. One of the workloads which are not always succesfully deployed as virtual machines are Terminal Server/XenApp workloads. A Terminal Server consumes quite a lot more CPU cycles and does more context switches than the average workload. Lots of VMware customers decide not to virtualize terminal server. The description of this session looked promising. The agenda listed an overview of best practises. Two staff members of VMware gave the presentation. Unfortunately the presentation hardly gave any best practises. Since ESX 3.5 terminal server worksloads run much better as virtual machines. Best practises described in communities and websites mostly are valid for ESX 3.0 or earlier versions. The presenters told their audience they do not want to publish best practises because it is only valid for a certain version of ESX or even an update of ESX. Update 3 of ESX Server 3.5 can have a different best practise than Update 2! Customers have been blaiming VMware for not given right advise while using the best practise published by VMware. -use an application set having applications used in your organization for proof of concept of virtualized terminal servers. Benchmarks published on the internet often use a standard set of applications (like Microsoft Office). Results may differ from your own application set! -use 2 vCPU’s. This can deliver a much better performance than using one vCPU. -if you are not satisfied with the performance, contact VMware. They are willing to assist you.